Enjoy a star-spangled weekend of food, fun, and fireworks at these big events around town. The event will feature live music, bingo, a washer tournament, air castles, free watermelon and a fireworks display. This FREE, family-friendly event is perfect for the whole family with live music from the Josh Abbott Band, food and craft vendors, children’s activities and a spectacular fireworks display. Fireworks, carnival rides, jalapeno pepper eating contest, Swifty Swine Pig Races, children’s games, Sam Bass Shootout, Movies in the Park, skydivers and more! Have an All-American experience as the Round Express faces off with the Memphis Redbirds. Fireworks show follows the game. 5 p.m. – 10:30 p.m. Admission is pfree! The event will feature fireworks and live music from The BlueBonnets and SkyRocket! plus an after-show concert. 11 a.m. | Fireworks 9:30 p.m. Enjoy live music at the gazebo throughout the day, arts and crafts vendors, food vendors, a petting zoo, classic and antique cars, and rides for children and adults. See the biggest firework show from the lake. View from a boat, from a nearby hilltop, or get front row seats at Beachside Billy’s. Start the morning with a 5k and parade. Spend the evening enjoying face painting, live music, pickle ball, and other fun activities. 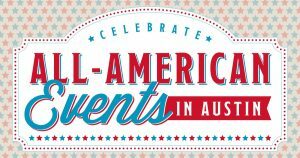 Celebrate independence with live music including Willie Nelson & Family, Sheryl Crow, Kacey Musgraves Asleep at the Wheel, Turnpike Troubadours, and many more!